is the payment escrowed? you should post this to Market>Services since you are paying participants with bitcoin and not altcoins. Still can't believe a campaign like this, how we could complain about our work if there is something wrong? No spreadsheet how could we know and its so different in any other campaigns paying btc and it should not be here in the altcoins. I feel strange about this. This is a descending bounty, First 3 days participants will make more than anyone else, same first 6 days participants..etc, First payment of 8 Bitcoins will be made on Dec 16th 1:00 AM EST. Second payment of 7 Bitcoins will be made on Dec 31st 1:00 AM EST. While participating in our bounty campaign misleading participate scammers will be called out immediately. To be eligible for reward reply below, everyday update the same reply by clicking edit, the Date: Your Participate. Stakes will be distributed in Dec 16th & Dec 31st. We reserve the right to remove you from any campaign at any time if we think you are not honest. We reserve the right to remove you from any campaign with explaining why we removed you. In case we remove you from the campaign for any reason, we reserve the right to delete your stakes. Those participants who will participate in any bounty campaign of C project before Dec 4th will receive 10% bonus to their stakes. After Dec 7th will receive 7.5% bonus on their stake. After Dec 10th will receive 5% bonus on their stake. After Dec 13th will receive 2.5% bonus on their stake. After Dec 16th no bonus. You can join as many as you want. In order to be eligible for the reward you must also be active on your thread, update it according to the main thread and translate each and every announcement that’s made during the entire campaign! Please note that all translations must have quality. They will be checked to avoid Copy-Pasting from Google Translate. Translation should be done in 2 days. If not, it will be given to another translator. WARNING! A single post dead thread is useless for the Project and will not be accepted. We expect from the translators to take the responsibility to moderate their threads by keeping them active with translated official announcements, news and updates regularly. If a translator just posts the thread and leaves it dead, with no updates, he will either be disqualified or have his reward reduced by 50%. There are additional Rewards for active Moderation. So it is paid work. Please, post in this thread to reserve your translation. Please reserve your translation here, I'll manually check your reservation. Font Times Roman, Size 450 & 150. All users are allowed Newbies and up. First bounty will be closed in Dec 15th, stakes will be distributed next day. Second bounty will be closed on Dec 30st, stake will be distributed next day. Participants in this campaign have to be at least a Junior Member rank to wear our signature. Minimum 10 constructive posts per week. Posts such as "hello", "good luck", "love this project", or any other unsubstantial posts will not be counted as valid. Posts with less than 60 characters will not be counted as valid posts. Every signature campaign participant has to wear our avatar (Full Member rank participants and above). To be eligible for reward participant has to keep both signature and avatar until the bounty is rewarded. Only facebook accounts with more than 25 followers will be allowed. Only twitter accounts with more than 50 followers will be allowed. We reserve the right to not consider your twitter account eligible for this campaign, even if you meet the prerequisites. 1. Low-quality articles and videos will not be accepted. 2. Articles and videos must be original work. Copying other people’s content is not allowed. (You can use official images, logos, ANN thread). 3. Articles must be longer than 250 words. Articles below 250 words will not be accepted. 5. Reddit, Hacker News,Product Hunt,Other bitcoin forums, English, none english, Crypto News comments, all treated the same. 6. Videos must be at least 1:00 minute long. Videos under 1:00 minute will not be accepted. 7. In the description of a video, you must have a link to the ANN thread. 8. In the description of a video, you have to write 25+ words original text about the C .
We will give out 10, 20, or 30 stakes depending on the quality of the blog post. All stakes will be given out at the end of the backing campaign. We don't have Telegram, Slack, but that will not stop you from posting on groups, or channels there right? 1. You must share a link to ANN on that group or channel. ANN thread. 2. Mostly you will be banned from specific groups or channel, so when you update below make sure to have a screenshot. We will give out 10, 20, or 30 stakes depending on the quality of the post. So unless you accept to get paid in BTC, and on Dec 16th DON'T CONTACT US. There are no rules on spamming. There is no Forms/Spreadsheets to fill, everything will be done under this thread! Translator wait my confirmation reply respond to your offer, everyone else post your joining and start, we encourage you to spam everyone and everywhere , you will not be disqualify, YOU WILL IF YOU TRY TO SCAM US. Newbies, red flagged members are welcome but our eyes on YOU! You can join as many. If Bitcoin price falls below $9000, we will add another 2 Bitcoins, if it goes up on value ( Which it will) we will keep the 15 Bitcoins as is. 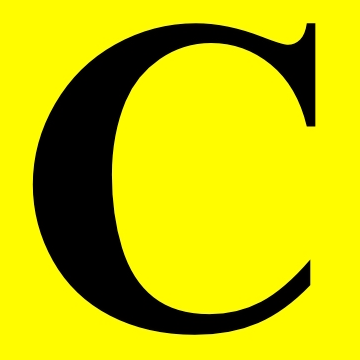 THANK YOU FOR HELPING US TO SPREAD THE WORD ABOUT C! The originality of this project is at its peak. So outstanding, great strategies too. I'm so into this project. You will need to create the threads yourself on the language section. You pick which Signature fits your level, add it, post under this thread that you joined.. That's it, we will keep an eye on your account daily! and keep posting around the forums like normal users! No, we don't hire escrowed( We don't trust anyone), and we already did couple of bounties and we paid it! The project is not bitcoin, that's why we are here. 1- Everything is here open to everyone to be a judge! 2- Different because we are real and original. 3- Its not bitcoin project! We are just paying in Bitcoin. 4- If above are not clear for you, please move on.